My photography is about Exploring the Human Condition, shot generally in a street photography/documentary context. I work mostly in Black and White as I feel it presents the essence of the subject in a more timeless medium. Photos are organized within folders for various countries as projects, or photo essays, to give some coherence to the images rather than random photos of one's travels. Older work will be found in the Archive. I am also doing some work in multimedia (ambient audio and stills) and video and will present some of those pieces here under Multimedia. Gear-wise, older work was shot with a Canon DSLR. Newer work is shot with a Leica M9 rangefinder. 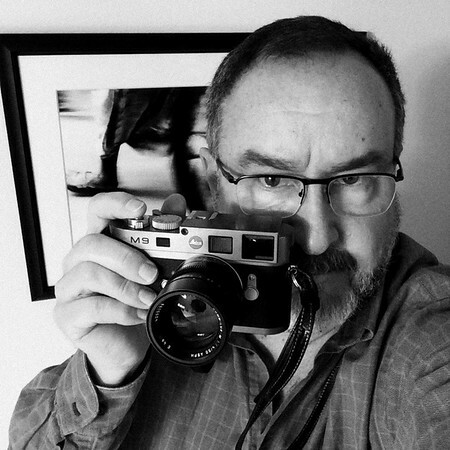 I am also shooting with analog B&W film (usually Kodak Tri-X or Ilford HP5+ ) in a Leica M7 and M3. So come see the world through my lens. You can find additional photos on my Flickr site. For videos and multimedia slideshows please visit my Vimeo site or my YouTube site.